Laser Skin Resurfacing is an excellent non-invasive method for improving the look of your skin. Some lasers continue to enhance your skin for a period of months after treatment, as they increase your skin’s elasticity by stimulating natural collagen production. 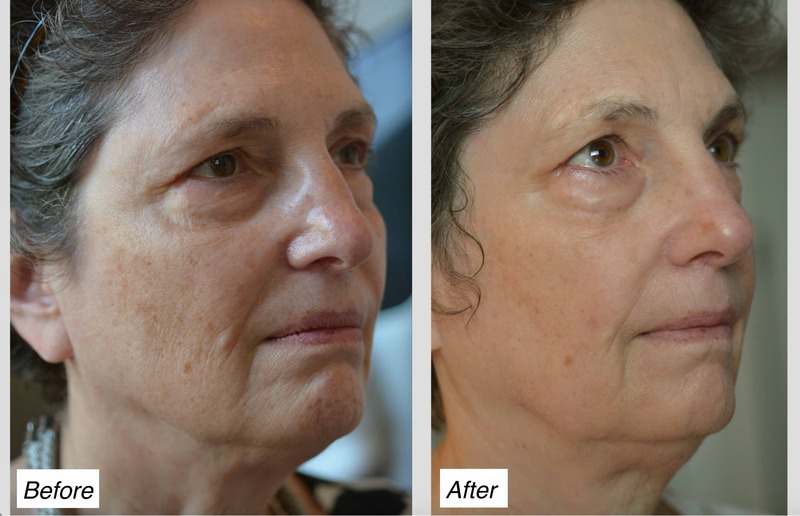 The Cortex laser is a versatile device offering both types of laser treatment with the ability to customize the treatment for each patient’s skin type and desired results. The erbium treatments can be used alone as light treatment options or combined with fractionated CO2 for enhanced results. Many lasers are not appropriate for darker skin types, however, because they might cause pigment problems. Dr. Rodwell will evaluate your skin and advise if you are a candidate for laser skin resurfacing. If not, he will recommend another method for achieving the results you wish. In some cases, he might suggest a chemical peel. Dr. Rodwell is a knowledgeable, devoted, and caring physician. Why consider Laser Skin Resurfacing? There are many laser options to choose from, and the process can be confusing for most patients. Dr. Rodwell uses a fractionated CO2 laser, as well as an erbium laser for safe and reliable results that are perfect for a wide variety of skin types and conditions. Dr. Rodwell will thoroughly examine your skin and determine what method will be most advantageous for you. He will consider both aesthetics and the health of your skin. He may prescribe skin care products to apply in preparation for your treatment, and he may also suggest a series of treatments in order to provide you with the best results. Improving the skin is a process — not a procedure. The best results are achieved with a long term plan to improve the health and appearance of your skin. A topical numbing cream is applied prior to using the laser device on your skin. The device emits laser energy, targeting the damaged skin while leaving the surrounding skin intact. For this reason, recovery time is usually quite fast, depending upon the type of laser used and the degree of treatment you require. Dr. Rodwell prefers a conservative approach to laser skin treatments. Often a series of lighter treatments works best for a patient wanting to get good results with less downtime. Dr. Rodwell will let you know exactly what to expect after the procedure as you heal and will provide you with complete instructions to care for your skin, as well as advice on products to speed the healing process and improve the overall health of your skin. You will be more susceptible to the sun while healing after laser treatment, so be sure to wear sunscreen when outdoors. If you are considering Laser Skin Resurfacing in Charleston, contact Dr. Rodwell today to discuss your candidacy.